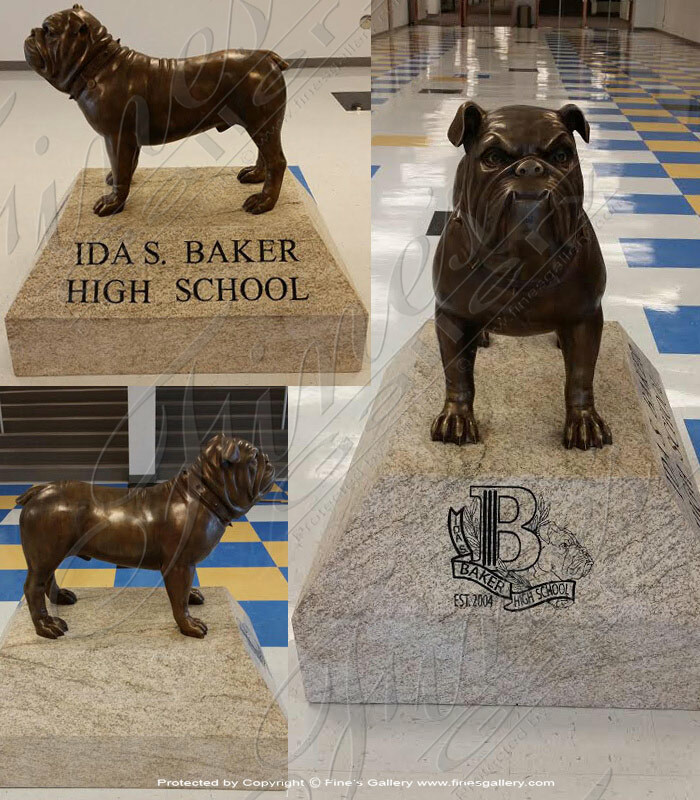 Bronze bulldog mascot statue and complimentary granite base with engraving. We can customize a mascot to be made from bronze, marble or granite for your school. Call today for more info at 1.866.860.1710.